Chelsea PTO parts for sale at a great price, in stock and straight from the manufacturer. We have been working hard to bring you the best possible experience when looking for replacement parts to repair or rebuild your PTO. We stock all Parker Chelsea models and we can help you identify the parts for your specific model. 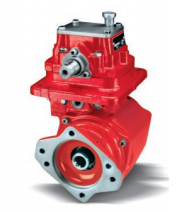 We are your one-stop for Chelsea line of Power Take-Off, PTO units and Parts. We offer the complete line of Parker Chelsea PTOs for American, Japanese and European applications. Cast iron 6-bolt and 8-bolt units are all available. Several types: countershaft, split shaft, power shift and front mount applications as well as air, cable, lever, or electric shift PTO options include: over-speed controls, flanges and shafts for direct or remote mounting to hydraulic pumps, product pumps, and mechanical drive uses.